Whip up a batch of these clean pumpkin oatmeal raisin cookies that are delicious and low in calories. Only 103 calories per 2 cookies. 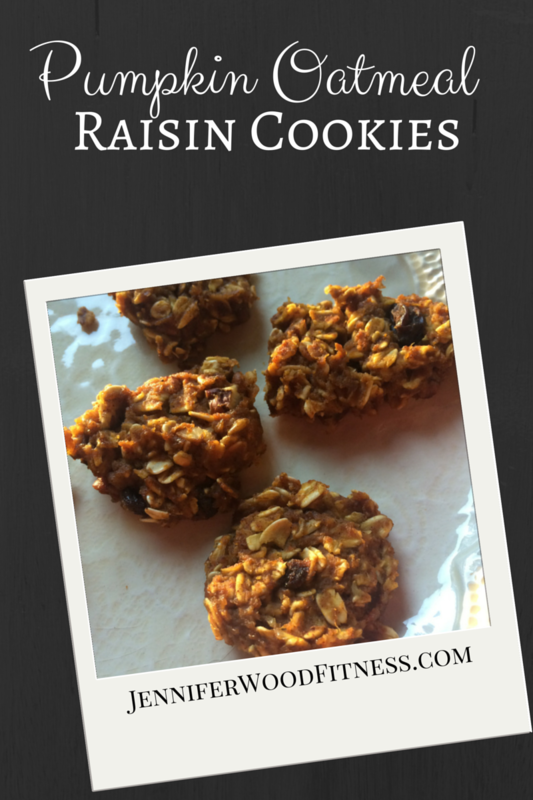 They are so good when you are in the mood for an oatmeal cookie! Combine oats, spice, salt and stir. Add pumpkin, maple syrup, raisins and pecans and mix well. Drop by rounded tablespoons onto cookie sheet. Flatten cookies with the back of your mixing spoon. Bake approximately 15 minutes or until firm. *They will be somewhat soft. Follow me on Facebook for more great recipes.